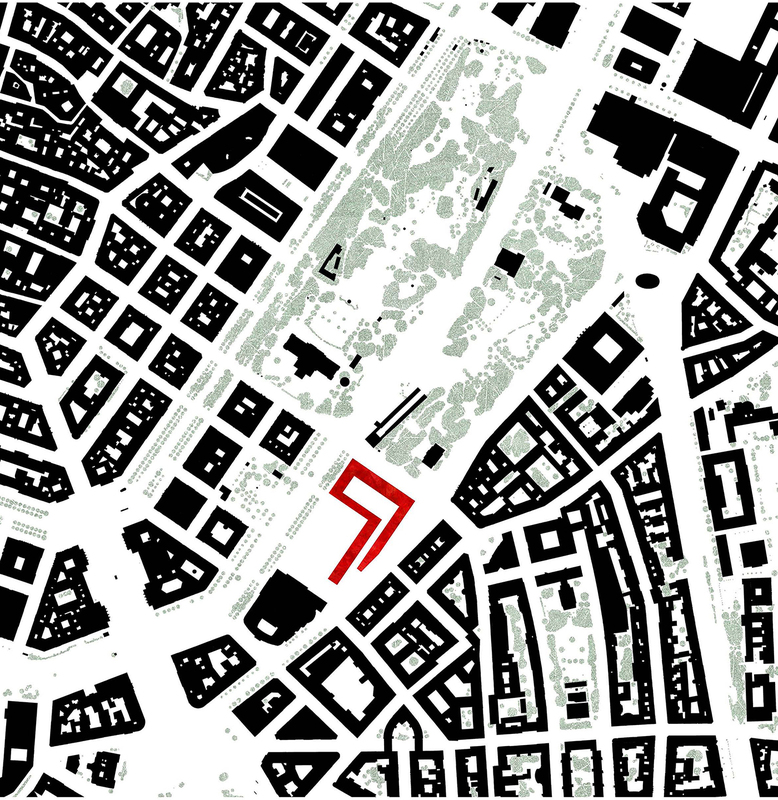 We wish, in our proposal, for suitable architecture for the city of Vienna, seeking physical and historical continuity with its urban fabric, without the will to break. 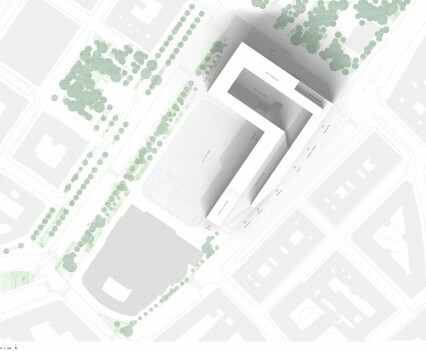 The shape and the way the building sits on the plot correspond to the particular circumstances of the urban environment and will not exceed the height of the current Intercontinental Hotel, as assumed by the city. 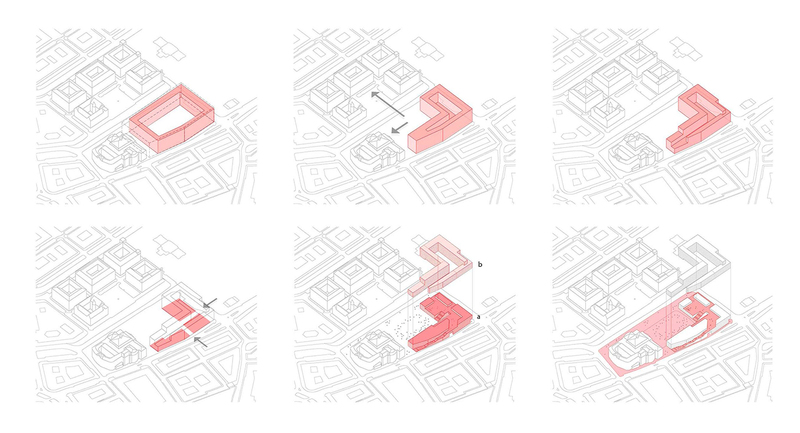 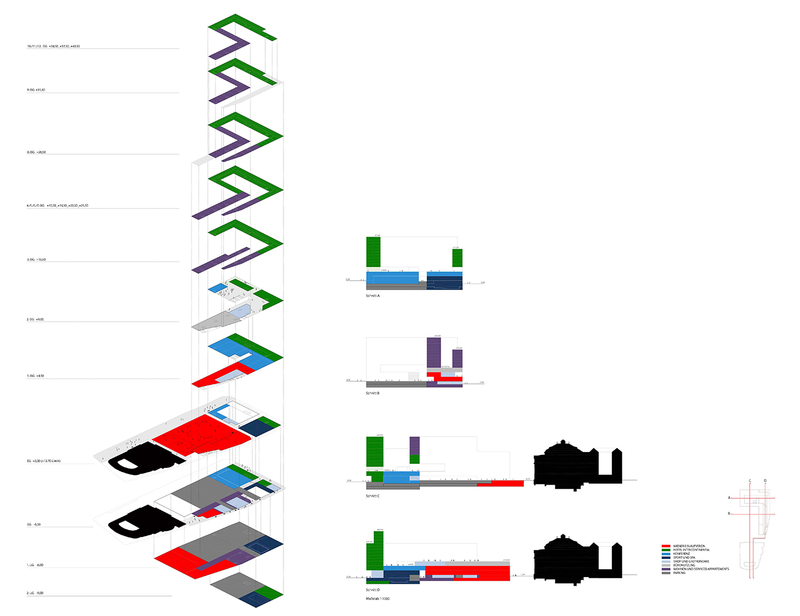 Our proposal commitment to the typology of a closed block is so common in the urban organization of Vienna. 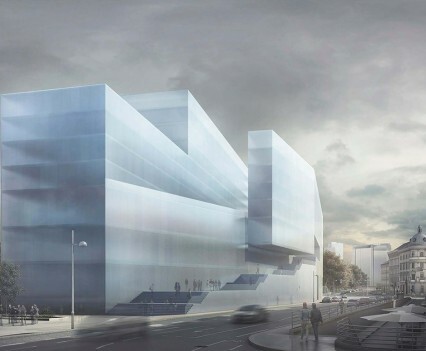 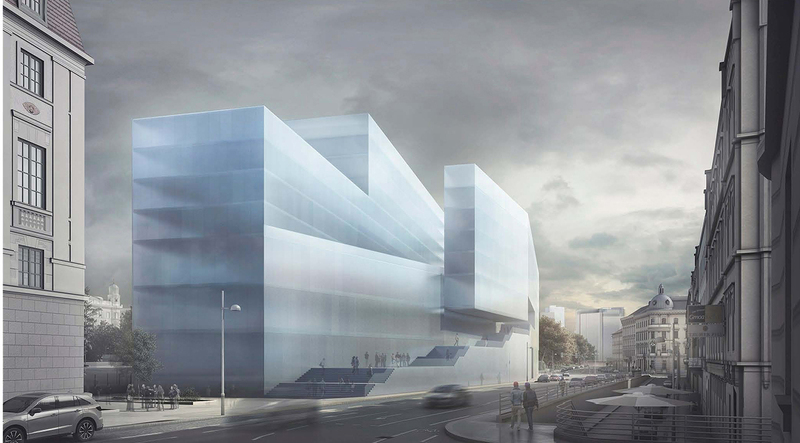 The building is segregated into two overlapping layers: a base that houses all public and collective uses, and an upper body that contains the private uses. 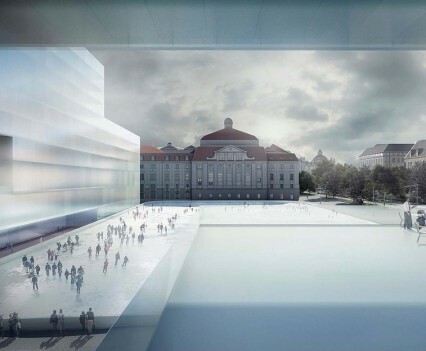 Between the two and finishing the basement, a public square, a meeting point and pastime and leisure for all citizens, which together with the intended ice rink, make up the three quarters of the available space in our plot. 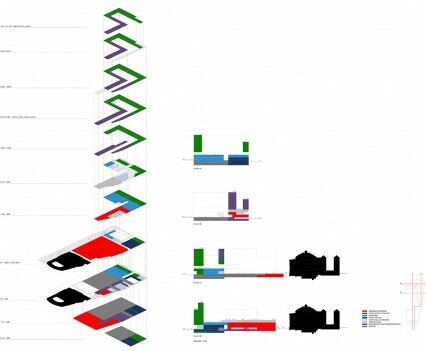 The basement is distributed into four major uses. 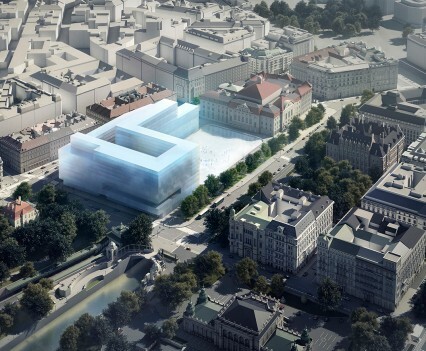 The access hall and public areas of the hotel, the conference center; sports center, and the Wiener Eislaufverein, connected to the rink and with access from the interior of the block. 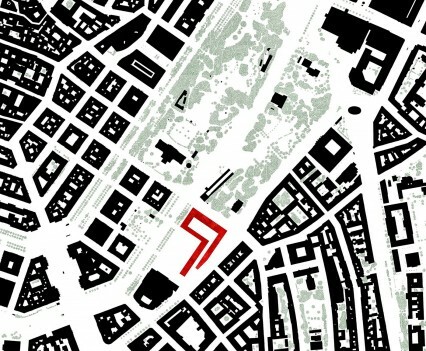 We must add to these uses the program package of offices located over the Wiener Eislaufverein and the program of commercial use, scattered at various strategic points linked to the street and the main entrances. 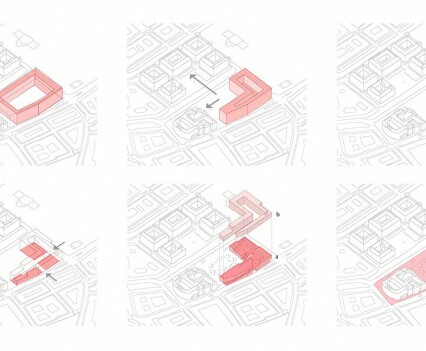 Aside from the basement, above are the other private uses: Hotel rooms, apartments with services from the hotel, and housing. Under the ground level we have: a large two-level parking lot for the hotel, offices, housing and the convention center; dock and load area for all uses as per the Wiener Eislaufverein. 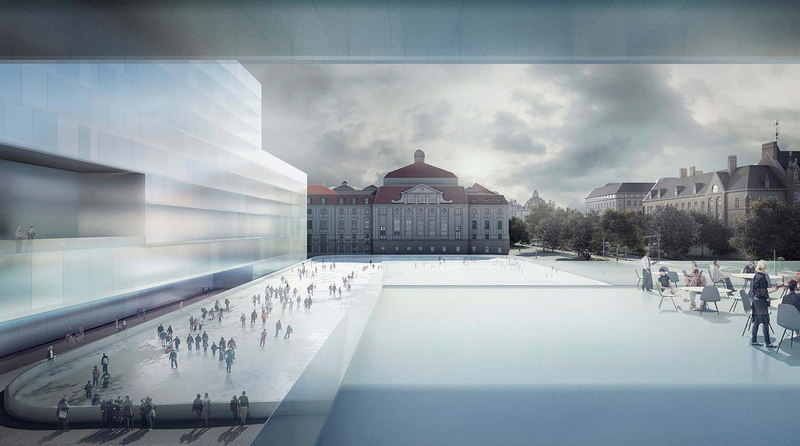 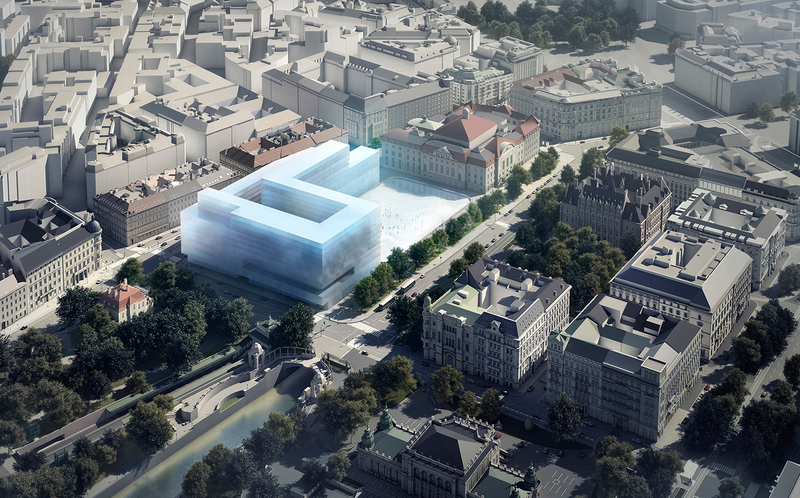 Accessibility and permeability has been treated as a top priority in our proposal: the widening of the sidewalk, the creation of a new pedestrian street between the Koncerthaus and two big walkways that longitudinally and transversely cross the building and connect it to multiply their own uses and the city.